A new program to collect winter clothes and give them to migrant farmworkers has been launched by St. Alban’s Beamsville. Every fall and winter hundreds of migrant farmworkers arrive for greenhouse work. They come from a climate where they cannot buy winter clothing and once here they suffer from the cold. Many arrive in summer clothes and have to work in cold, unheated greenhouses 10-12 hours a day. They must buy and prepare their own food, yet live out in the country far from stores. They lack transportation so volunteers deliver the clothes to the farms. Often new arrivals on a four year contract can’t buy winter clothing because their entire first year’s income goes to a recruiter. In subsequent years most of the $11 per hour earned is sent home to support their families. 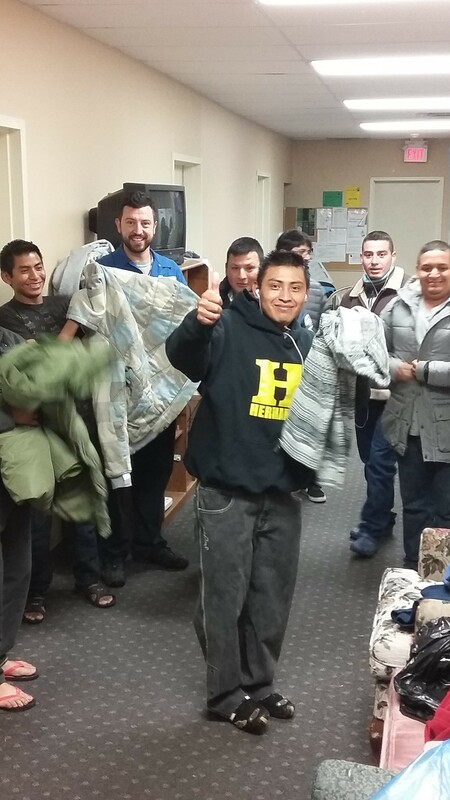 You can now donate winter clothes to migrant workers. Coats, sweaters, hats, gloves, footwear, male and female sizes small to large are all needed. Also needed are blankets and personal hygiene supplies. Two area thrift shops give St. Alban’s significant discounts so your financial donation is also welcome. Five dollars can buy a lot of winter clothing. For more information, contact Caron Edwards in the form below. Michael Hahn is Chairperson of the Migrant Farmworkers Outreach Program at St. Alban’s Beamsville.